What Types of Metal Scraps Can You Recycle? The industry of scrap metal may appear to be not as glamorous as others, but it has an important role in keeping the environment in good shape. What is even more attractive about the whole idea is the fact that you can cash in these rubbish for a significant amount of money. The key factor about this whole business is knowing which type of metal or steel are acceptable for selling. You need to learn how to sort and separate them, by grouping them into non-ferrous and ferrous. To identify which metal is due for recycling, here is a list you may refer to. This is the most commonly used metal today. It is often used for a variety of things such as soda cans, food wrap foils, door frames, fences, and windows. You may also found aluminum in certain types of mechanical and vehicle scraps, such as rims, wheels, and other engine parts. Another thing you should know about aluminum is it falls under the non-ferrous category, which is worth more money than ferrous metal. Brass is a metal alloy in a bright gold colour that contains copper and zinc. You will often find this on many ornaments in your home, such as bed frames, candlesticks, plates, trophies, door knobs, and cabinet handles. It is most commonly used on air conditioning units because of its resistance to corrosion, hardness, conductiveness, and malleability (compared to bronze or zinc). Like with aluminum, it is proven to worth more money at scrap yard since they could easily be shaped into other forms and uses. In the scrap metal industry, copper is considered to be the most valuable scrap in terms of recycling and applications. That is because of its infinite recycling life and the different uses it can produce. In addition, almost every industry requires copper in their mechanisms, from construction and manufacturing to the simplest production job. You can find this metal in almost anything. That said, it is not surprising why it has the highest price for scrap. Steel is a widely known type of metal due to the number of applications you could use it for. People often use this for fences, railroad lorry, construction, chairs, shelves, and many other things. However, compared to non-ferrous metals, it has lesser value when sold at a scrap yard. This is because people find it hard to recycle and create a new form. In addition, it corrodes when exposed to air or water. Regardless of that, scrap yards will not turn away from this metal and would still make sure that they will be recycled accordingly. 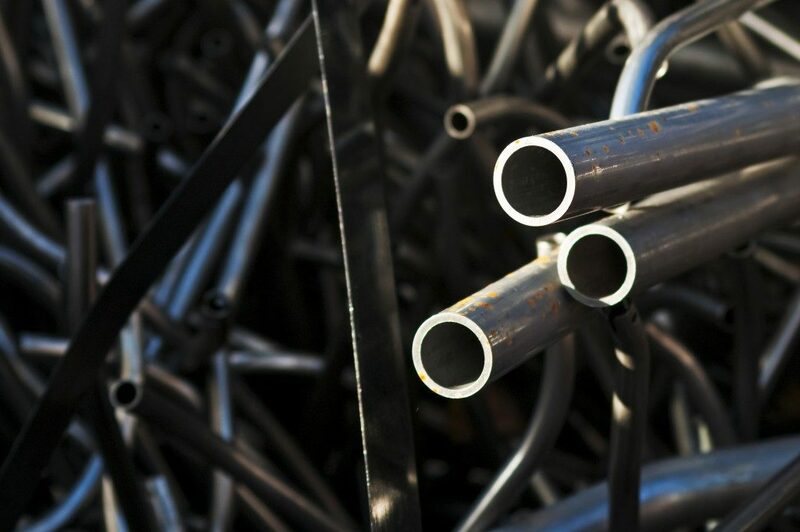 These are just some of the most common types of scrap metal you should be aware of. May this help you in identifying which metal you have can you cash in for money. Along with that, you are a step away in protecting and conserving the earth’s resources. Not only you are earning, but is also contributing to recycling and reusing these scrap for better use.